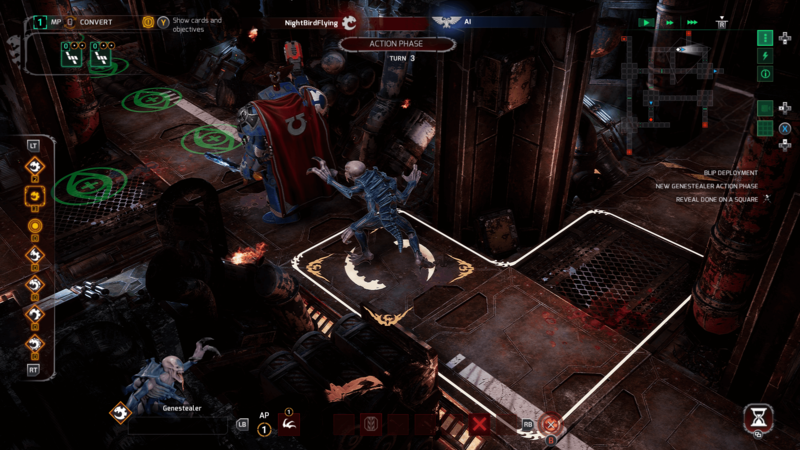 The fine and geeky folks at Cyanide Studio have once again dipped into the franchises of Games Workshop with Space Hulk Tactics. 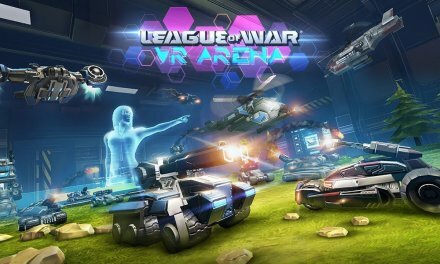 Set in the Warhammer 40k universe you’ll be playing an almost exact digital replica of the classic board game Space Hulk. 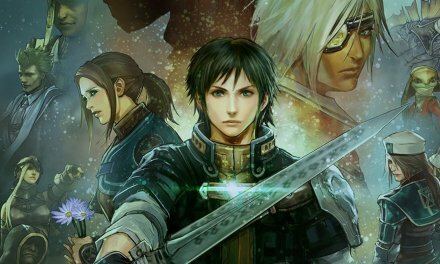 The game has two campaigns that are linked but set at slightly different times. Naturally, your options are Space Marines, Blood Angels to be precise or The great devourer, Tyranids. 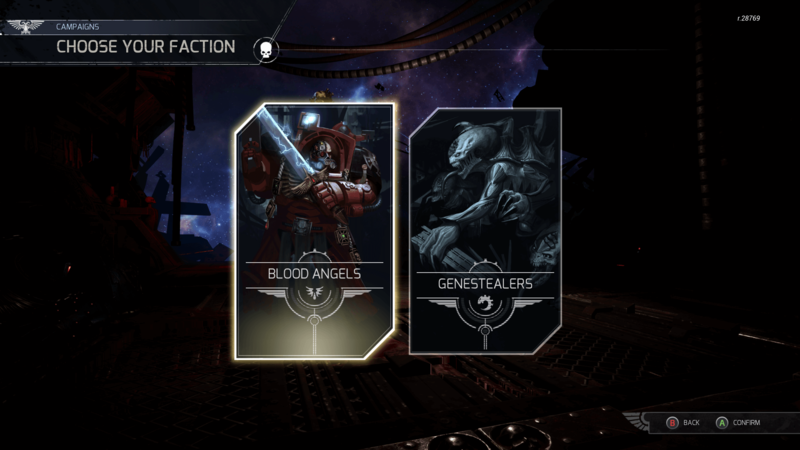 The only major change to the classic Space Hulk formula is the tactical cards you can play each turn, these cards can buff your Terminators or ‘Nids, and when the occasion may call for it, converted into extra Action Points for that turn. more on that below. Now is probably a good time to mention that I’m a huge GW fan and play almost all of their systems. (Boy, do I miss Warhammer Fantasy Battles). 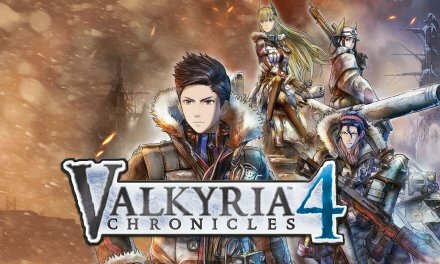 The reason that’s worth mentioning is that it’s, of course, going to colour my opinion on this game. From the relatively minor things such as wishing that I instead got to play the campaign as The Black Templars, to potentially being more forgiving of the game’s issues or enjoying certain aspects more than somebody unfamiliar with the Warhammer 40k Universe. Now, to say that this is a game of two halves would be true and that’s not just because of the two separate campaigns. 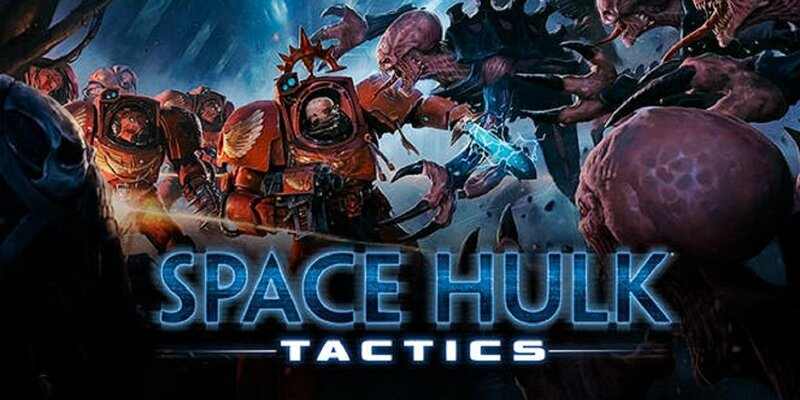 Space Hulk Tactics could be described as a rather shallow experience as far as it’s gameplay is concerned, there is some depth to the tactical action in the game but once you develop an understanding of your units and those of your foe, the main challenge becomes completing the objectives within the turn limit. Especially if like me, you never actually see optional objectives as optional. I don’t know what it is about my mindset but the second you give me the option to refuse a challenge or objective, well by the holy throne of Terra, I’m completing that objective come what may. Accept any challenge, no matter the odds! I guess it’s just the Son of Dorn in me. 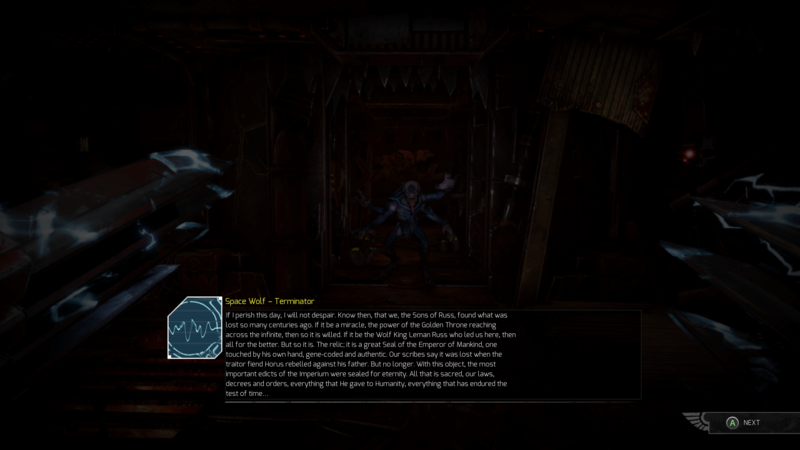 Each mission of Space Hulk Tactics takes place on a grid-based map with each factions units having a set amount of Action Points each turn, everything in Space Hulk Tactics uses an Action Point, moving, using a switch to open a door, roasting ‘Nids to ash with a heavy flamer or tearing through Ceramite plates to eviscerate the biomass within. Units differ with the number of action points they have and this really needs to be understood when it comes to the tactics you’ll employ. The objectives for the Tyranid’s tend to be just what you’d expect from the great devourer, kill all the Space Marines, it’s much easier said than done by the way. The Blood Angles, however, tend to have slightly more interesting objectives, Escape the ambush, retrieve the servo-skull, destroy certain strains of ‘Nid. My only complaint with the ‘Nid campaign is that it lacks the first-person perspective available during the Blood Angels missions. The first-person perspective isn’t tactically useful but it does add a great sense of claustrophobic scale to the interiors of the Space Hulk. The gameplay is a fairly simple affair with each mission giving you objectives that you need to complete in order to successfully complete the mission, having said that, making a slight tactical blunder can and will be punished. Now. If the mission you’re on happens to be a story mission than failure means you’ll lose some resources (which are only used to upgrade your units.) and have to try again. Now, this can become somewhat frustrating. Now as with any Games Workshop system Dice rule all. In the case of video games, it’s blasted digital dice (I never trust digital dice for some reason, rolls always seem to go against me at key moments. 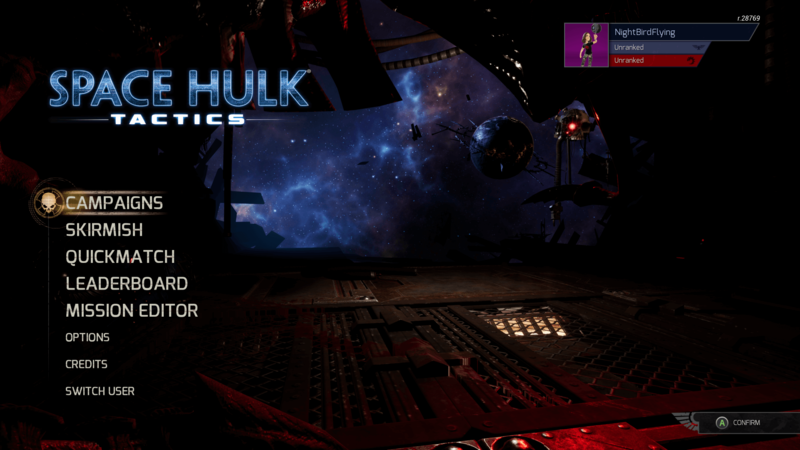 Exploring your way through the massive hulk of ships increases the threat level, and once it reaches a certain level you’re attacked and what is basically a side mission appears, now you can skip these, doing so leaves a marine behind and therefore that marine will be unavailable in your next mission. This wasn’t something I actually did, however, (told you I can’t skip content). Now, victory in these side missions will grant you more resources to spend on upgrading your available tactic cards, buy better weapons for your marines and unlock new abilities. However, you find resources dotted along the games ‘world map’ and often you’ll find more than you’ll lose for failing a mission. I always seemed to have enough resources for everything I wanted. 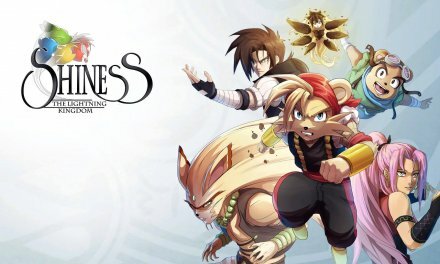 While that’s not a bad thing, it did serve to make many of the missions that would spring up feel like little more than a way to pad the length of the game. While the story of Space Hulk Tactics initially seems to be a fairly standard affair at first. 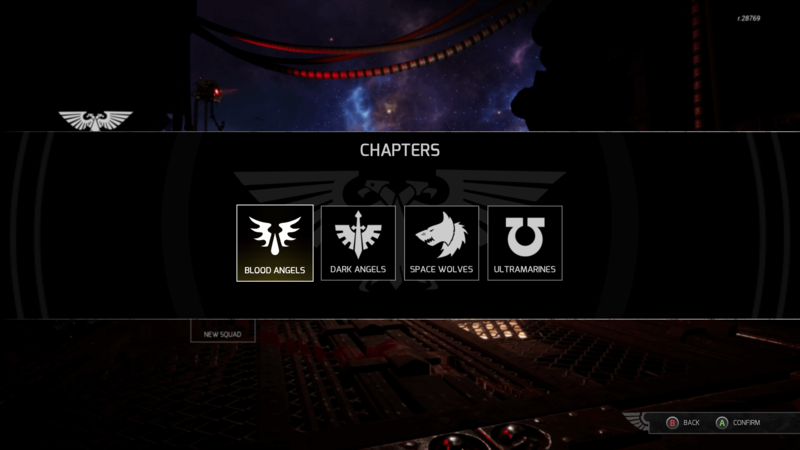 as you progress through the campaign, especially of the Blood Angels, you’ll uncover a depth that was most unexpected. 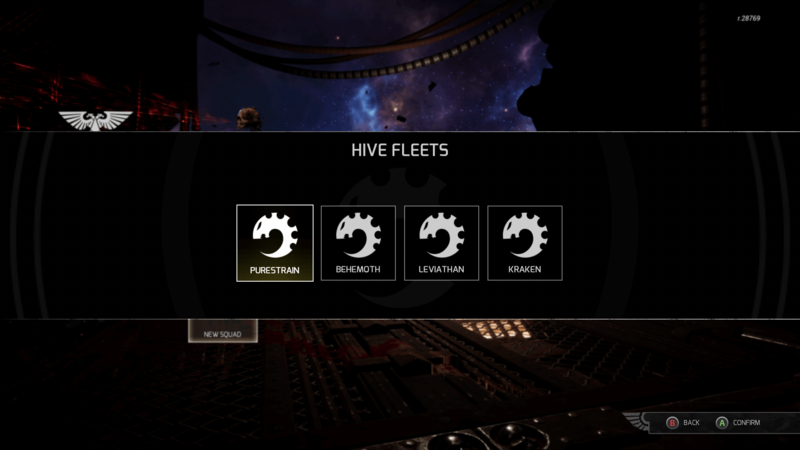 Cyanide are clearly huge fans if the 40k universe. It shows through the game’s story, which I’ll attempt to keep as spoiler free as possible. A space hulk, is a huge mass of many different spaceships of many species clustered together from all over the galaxy, that drift through real-space and the warp. At the start of the Blood Angels campaign, they have been dispatched to board this space hulk and destroy it before it collides with a forge world, (A planet-sized factory essential in the production of weapons and equipment that a vitally needed for imperium of man to keep the forces and Chaos and the Xeno menace at bay). Seems simple enough for the sons of Sanguinius, however not long into this resume mission, the Ordos Xenos (Basically, a human scientific order that study alien life to better understand how to destroy it) arrive and complicate matters for the IX legion. Every word of dialogue drips with understanding of 40k Lore. 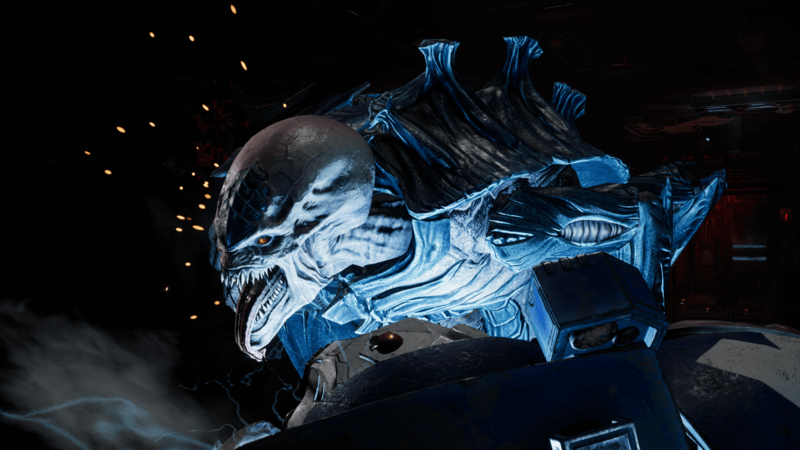 Every aspect of characterisation in Space Hulk, from dialogue to voice acting is in a word perfect. It’s the understanding of the universe shown by the team at Cyanide that makes this game such a joy to play. It’s not just the story that feels right, the level design is incredible, while the ‘map’ is always a grid of various layouts, throughout the campaign, you’ll battle foes though an array of ship designs, which each add they own unique gameplay quirks. From the Webway portals found of elaborate and decadent Eldar ships that can teleport you or your foe across the map in a moment, adding another threat that must be contained, to the Ork fungus aboard their junk ships which slow down movement in areas. The game doesn’t stop with its campaign either, the game features competitive multiplayer (In which you get some more options as to what Space Marine chapter you use, and even a choice of which hive fleet you ravenous genestealers‘ belong to) and a map editor so that you can create your own missions and levels to share with the Space Hulk Tactics community. I simply adore this feature, seeing what fans have come up with for me to test my skills against is great and an unexpected feature considering that Cyanide isn’t exactly a big budget AAA studio. While I’m full of praise for how well realised the 40k universe is in Space Hulk Tactics, it does present the games biggest issue. If you aren’t well versed in the lore of the 41st Millennium (and trust me there is a lot of it), then you’ll most likely feel completely lost playing space hulk, add to that the games rather unforgiving difficulty at the start and I can easily see players giving up out of confused frustration without the hook of the assumed knowledge base. Know no fear! To sum up, Space Hulk Tactics is amazing for what it’s trying to be, a faithful replica of a tactical board game. It doesn’t try to spice things up by changing games core mechanics. Much in the same way of Cyanide’s venture into Blood Bowl. A must-have for any 40k fan. However, those not deep into the rabbit hole that is the 40k Universe may want to pick something else for their tactical itch.